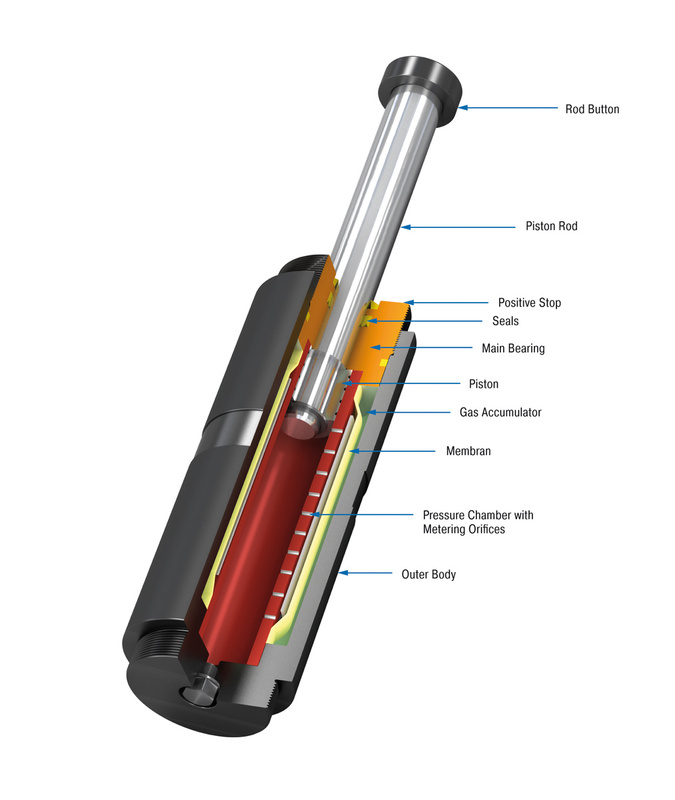 SCS38 to SCS63 - Safety Shock Absorbers - Safety Products - Products - ACE Controls Inc. Slim with a long stroke: safety shock absorbers from the SCS38 to SCS63 product family are designed for emergency-stop applications. Strokes of up to 47.24" (1,200 mm) are possible with these maintenance-free and ready-to-install dampers. Low reaction forces result due to the large strokes. ACE uses our proprietary custom calculation program to design each shock absorber for the specific customer application. Customization helps reduce the risk of crashes and incorrect product sizing. 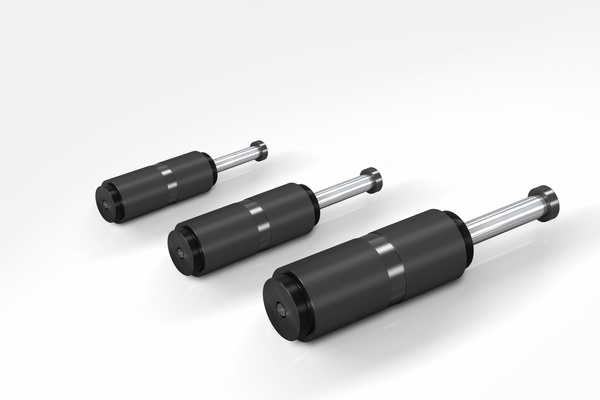 The characteristic curve or damping characteristics of all safety shock absorbers from ACE are individually designed to the specific customer application. The metering oriﬁces for the applications are specially calculated and produced. These tailor-made machine elements are the ideal protection because they are less expensive than industrial shock absorbers and are effective with up to 1,000 possible full load emergency stops. Impact velocity range 1.6 ft/sec to 15 ft/sec. Other speeds on request. Filling pressure Approx. 29 psi. 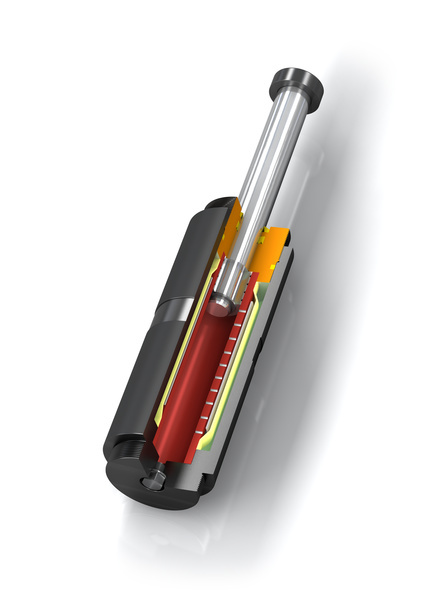 Rod return by integrated nitogen accumulator.